We at Oceanwide Images Stock Photo Library provide the finest quality images of Underwater, Nature, Wildlife & Landscape Stock Photos. We license High Quality Rights Managed Images. Search our huge on-line database for dynamic unique images, hand picked from the world's best wildlife & underwater photographers, including reknowned Australian Underwater, Nature, Wildlife & Landscape Photographer, Gary Bell. Buy Individual Images simply via pay per use, no monthly subscription necessary or annoying monthly fees. Buy direct from Oceanwide Images Stock Photo Library and be assured you will be licensing unique images at competitive rates, with fast delivery and personal service. Our High-quality images are licensed for specific usages, ensuring the exclusivety and uniqueness of each photo you license. To enquire, please contact us direct with all your request details or send your image request via our $ request form. All images listed on our website are also available as Fine Art Prints, ready for mounting for your home decor display. 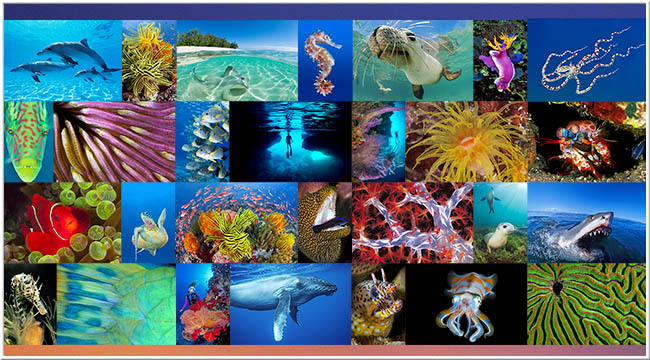 Image Categories include: Spectacular Aerial Reef scenes, Fish and coral, Great Barrier Reef, Coral reefs and Seascapes, Scuba Divers and Snorkelers, Dangerous Sharks and Dangerous marine life, Whales, Dolphins, Sharks and Rays, Fish, Crustaceans and other Invertebrates - Also Terrestrial images such as Landscapes, Cityscapes, Nature and Wildlife, Rainforests, Reptiles, Birds, Insects, Endangered Species, Conservation issues, and more. "Oceanwide Images is a fantastic resource for stunning nature, wildlife and underwater photography. One stop shopping for high-impact photos delivered by professional and friendly staff." © Copyright 2003-2019 Oceanwide Images - All rights reserved.